The first medical marijuana dispensary was opened in Allentown, Pennsylvania on June 12, 2018 and PalmSHIELD was a part of this momentous day. 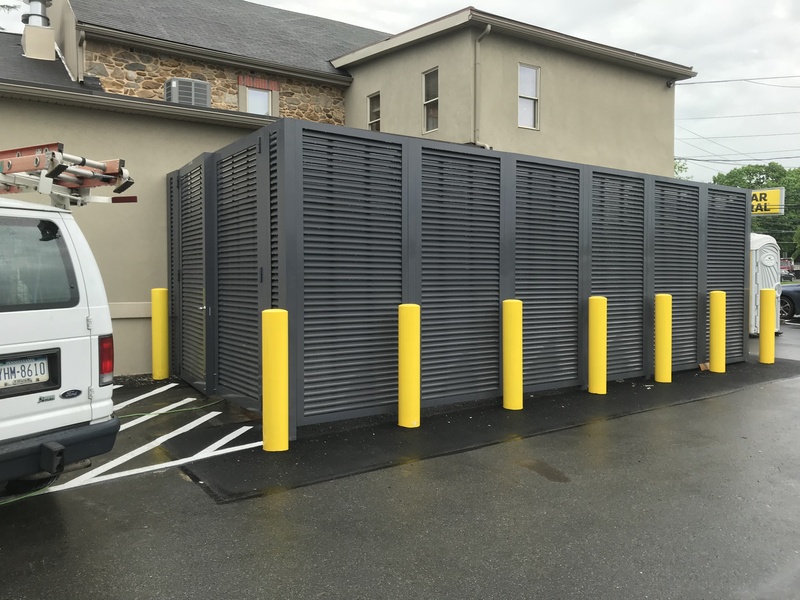 A PalmSHIELD horizontal louvered enclosure is installed at Mission Dispensary by ProMax Fence Systems. The mechanical equipment screening fits in very nicely with the building’s soothing cool tones and eye-catching design. ProMax Fence Systems has worked on many PalmSHIELD projects in the past and is well on their way to becoming an expert at installing our products. As you can tell from their finished product at Mission Dispensary, they are very skilled at what they do. Due to its size and sturdy design, the Mission Dispensary project uses Gorilla hinges as well as an internal locking device. The Gorilla hinges use a half inch mounting plate, bolt holes tapped and pre-drilled and a butterfly design. PalmSHIELD’s extra-large louver size and our one-of-a-kind panel designs have helped us become the leader in mechanical equipment screening. 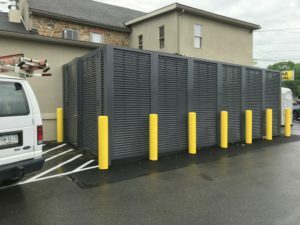 Our catalog goes even further beyond horizontal louvered enclosures, including services such as wire mesh, diagonal louvers, cable railing, self-standing and rooftop screening. Please visit PalmSHIELD today if you have any questions or to see the wide variety of options PalmSHIELD has to offer.